Waterfall Cafe is nestled over the cascading ponds of the Mount Penang Parklands, the gateway to the Central Coast. Set against the walkway entrance to the gardens themselves, it is a beautiful place to eat or enjoy a coffee with friends. We are a fully licensed venue for all you events and functions. Or just for a drink over lunch with friends. Jas Sandhu has been the chef and owner/operator since February 2007. Waterfall Cafe is now a bustling cafe restaurant that is packed every day for breakfast and lunch. Jas has refined his experience from the high end Sydney restaurants and catering companies he has worked at before running Waterfall Cafe. Jas and his team love cooking. 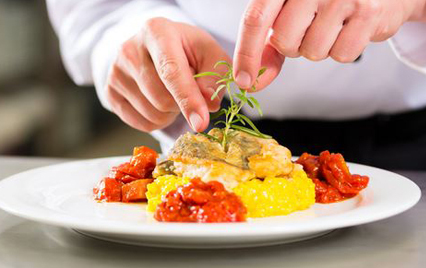 They have a keen eye for ingredients and dishes heaps of catering experience for functions of all sizes. Come in and enjoy the balconies overlooking the water. Need a venue for a function? Even if you have an off site venue, our team of chefs will make it a winning event with our catering packages delivered to you. 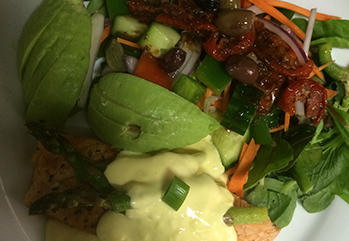 Grilled atlantic Salmon with asparagus, hollandaise sauce and avocado salad. 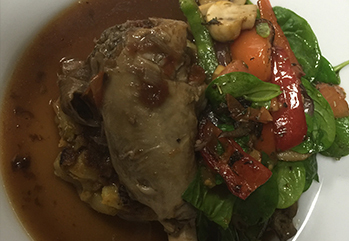 Lamb Shank served with creamy garlic potato mash and sauteed veggies. 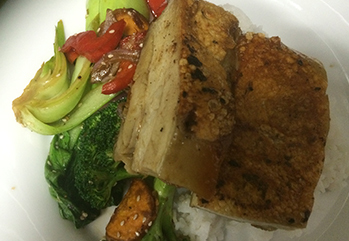 Double glazed pork belly green asian veggies.